We have been trying to get in some much needed beach time during the past couple of weeks. Mr. E really likes the Exploration Center at the beach because he can hold the sea creatures in the touch tank. 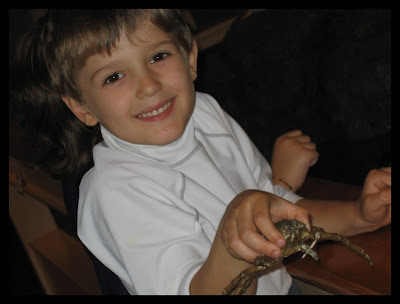 His favorite this time was the Spider Crab. He has also been having so much fun this year playing in the water. 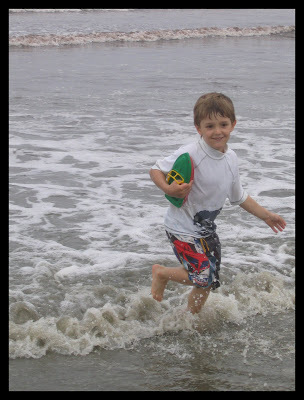 He has mastered the art of boogie boarding on his own (I have yet to get a picture of it). 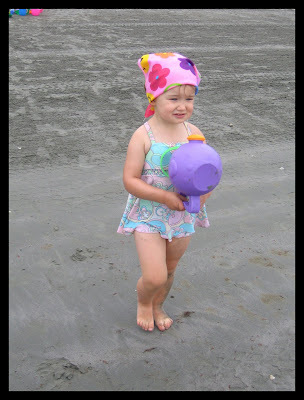 Little Miss just enjoys running back and forth with buckets of water...not really for any specific purpose (which her daddy has yet to understand)....just for fun! 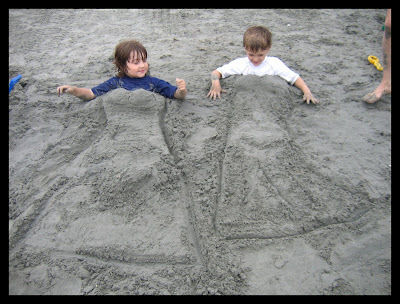 The boys wanted to be buried and we had a little fun with it. I'm sure their prom dates will love to see this photo one day. 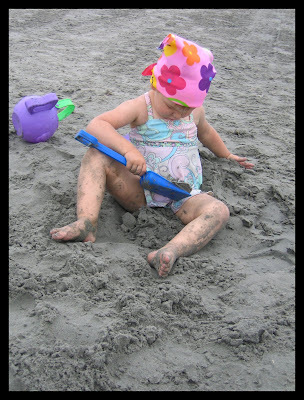 Poor baby; she had to try to bury herself with sand because we were too busy making the boys into mermaids.